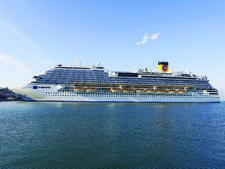 If U.S.-based cruise lines are slowing down the rapid fleet expansion that occurred over the late 1990's and into the first few years of the 21st century, Europe-based cruise lines are a different story. 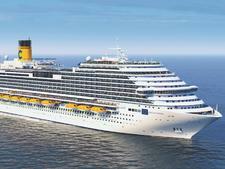 Costa, a member of the huge Carnival Corporation family of cruise lines, is taking the lead. 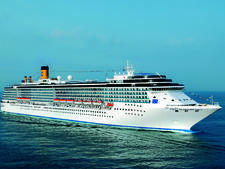 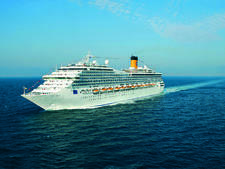 Costa Fortuna, launched in November of 2003, represents a continued evolution. 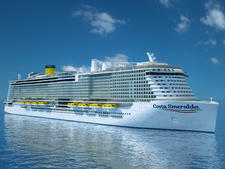 The strategy of the Genoa-based company, as it unveils its new ships, is to provide a mostly European passenger base with the same amenities -- high balcony ratio, an alternative restaurant, and a splashy decorating scheme -- as those that North American travelers now demand. 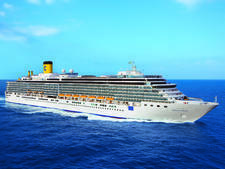 What's particularly interesting about Costa Fortuna is that it's actually built on the same platform as sister company Carnival Cruise Line's Carnival Triumph and Carnival Victory, and also resembles Carnival Destiny and Carnival Conquest in many important ways. 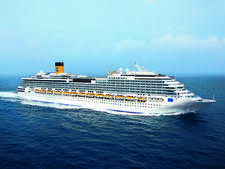 Add to that an American touch on the decor -- this ship, like Costa Mediterranea before it, was designed by Carnival's uber-design-master Joe Farcus. 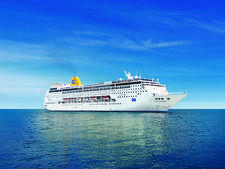 What you get, ultimately, is a pan-European cruise experience mixed with American-style comforts. 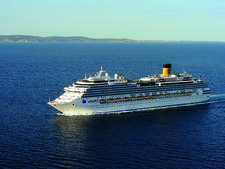 Onboard, the ship's decorating theme pays homage to classic Italian vessels (every public room is inspired by -- and named after -- a particular ship) and Farcus has blended a bit of elegance with a defiantly whimsical flair. 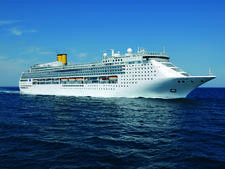 Costa Fortuna is not as neon-flashy as Carnival and yet is definitely more lively, in color and texture, than traditional European cruise ships. 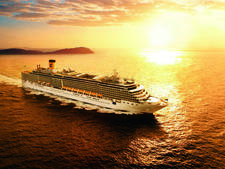 Expect to find that about 15 percent of passengers hail from North American; the rest are primarily from Italy, Spain, France and Germany (and, as a result, on important announcements and during the muster drill each message is repeated in five different languages). 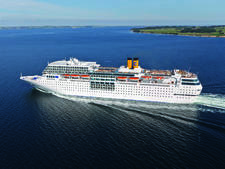 Casual during the day, smart casual in the evenings, with one formal night and one semi-formal night on a seven-day cruise. 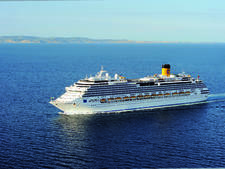 In Europe, 6 Euros a day are added to your shipboard account as gratuities for the staff; in the Caribbean, the rate will be $10 per day. 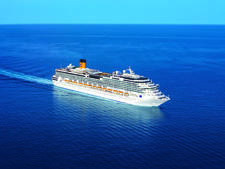 Most people give an extra tip on the last night to their waiters, the wonderful maitre d's and especially the hardworking stateroom staff.